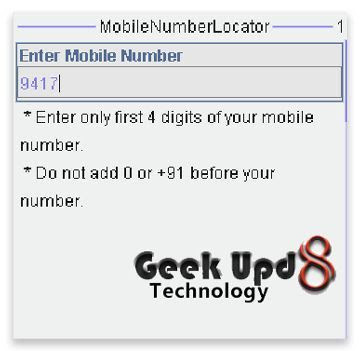 Are you looking for the details of some Mobile number ? Is any one harassing you or you just want to know the details of the provider of the person you want to call ? Earlier it was almost impossible for common man to know all the details, unless someone had someone close working in some telecommunication companies like airtel, idea etc. Now there are plenty of online services that claim that they can track the location, provider and other details, but many times we visit them , and Yikesss!! they are fake. At that time all we can do is just close the browser in anger. But what if say there is now a mobile application that can work almost on any phone, from Samsung Galaxy S III to a simple Nokia 5233 or even a Nokia 3230 or something like that. What i mean is it just fits on all. Trace & Track Indian Mobile Number Location , provider , type and other details by downloading the Java based mobile application below. All you have to do is just enter the 10 digit number of any Indian mobile number, and you'll get the details rgarding that number. Okay, before you hop on to the download link below, spent some time reading the features, which i'm sure would make you even happier. 2. You get the details about the location with this tracking application. The state to which the mobile number is located. 3. 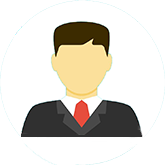 In the latest version of this software you get the details about the reference city of the the mobile number which you are looking for. 4. And last but not the least, the service provider ofcourse. Please note that this application is useful in almost all conditions, but with the implementation of Mobile number portability, there may be some chances that the results obtained are not correct. It is so difficult to detect the identity of a prank caller especially when you are not acquainted with the strategies on tracing numbers. Thanks a lot for sharing your thoughts. It is very helpful and informative. Present era mobile tracking is a great way to track any one's mobile location by mobile no. There are so many sites to track mobile location online. Track location with and without GPS option. Click computer phone. Even if the GPS connection fails, you can see where the target person is at the moment. The tracker catches signals from Satellite towers.